In this lesson we will present a selection of tools to give you an idea of the capabilities of GRASS. The g_aspect layer is stored within the grass_mapset Mapset so you can remove the layer from the canvas and reload it whenever you want. 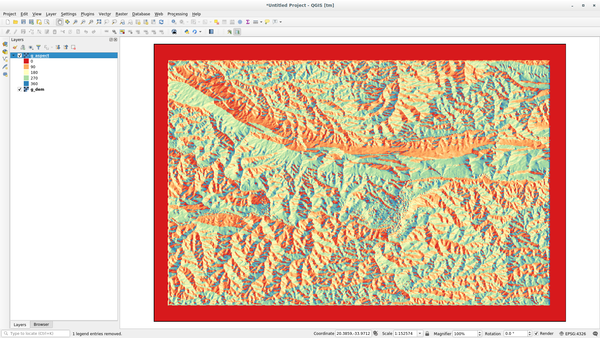 We want to know some basic statistics of the g_dem raster layer. 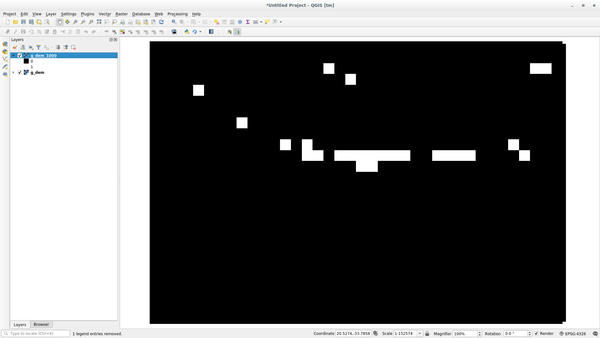 Reclassifying a raster layer is a very useful task. We just created the g_aspect layer from the g_dem one. The value range gets from 0 (North) passing through 90 (East), 180 (South), 270 (West) and finally to 360 (North again). We can reclassify the g_aspect layer to have just 4 categories following specific rules (North = 1, East = 2, South = 3 and West = 4). Grass reclassify tool accepts a txt file with the defined rules. Writing the rules is very simple and the GRASS Manual contains very good description. Load the g_aspect layer or, if you don’t have create it, go back to the Follow Along: Create an aspect map section. Open the tool and set it up like the following picture. The file containing the rules is in the exercise_data/grass/ folder, named reclass_aspect.txt. The new layer is made up by just 4 values (1, 2, 3, and 4) and it is easier to manage and to process. Open the reclass_aspect.txt with a text editor to see the rules and to start becoming used to them. Moreover, take a deep look at the GRASS manual: a lot of different examples are pointed out. 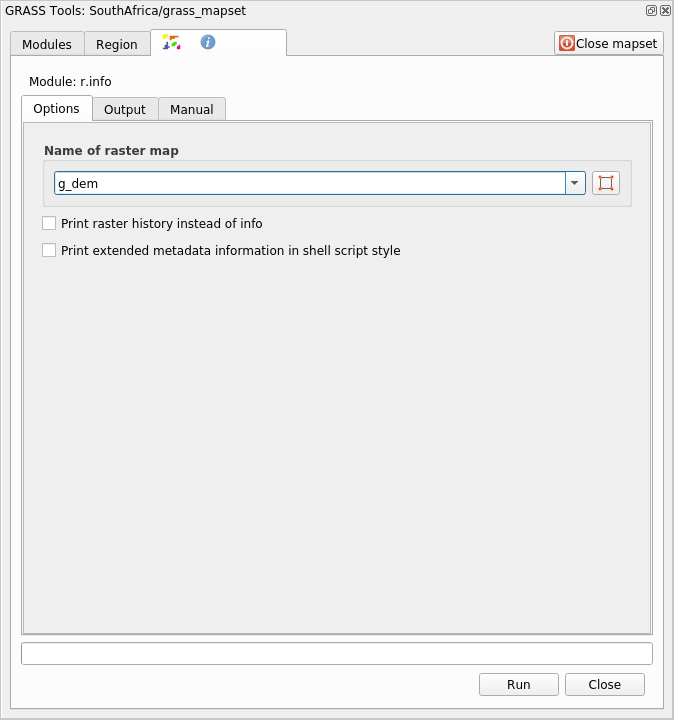 The Mapcalc tools is similar to the Raster Calculator of QGIS. You can perform mathematical operation on one or more raster layers and the final result will be a new layer with the calculated values. 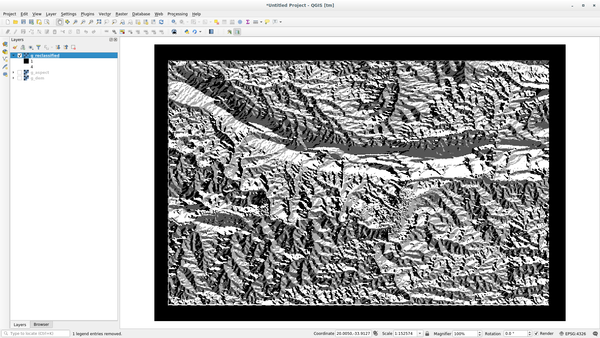 The aim of the next exercise is to extract the values greater than 1000 from the g_dem raster layer. 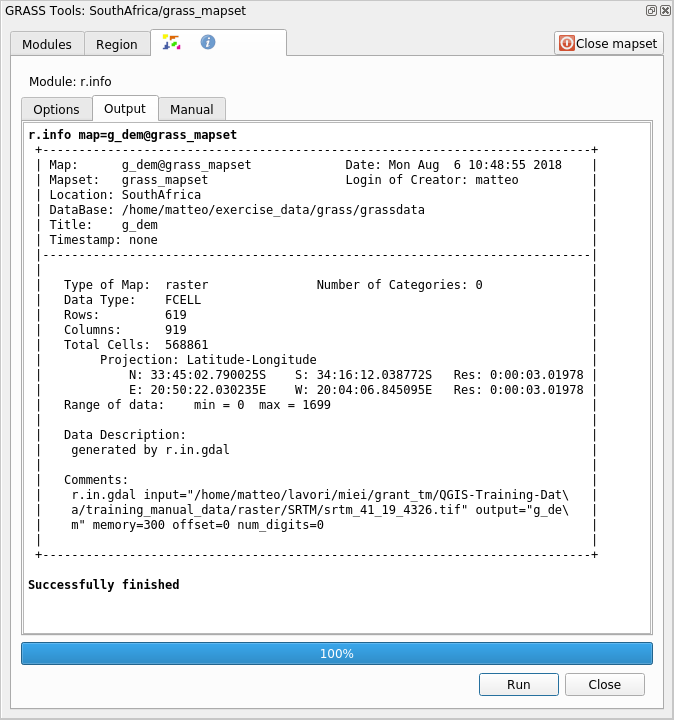 Look for the r.mapcalc module by searching for it in the Filter field of the Modules List tab. 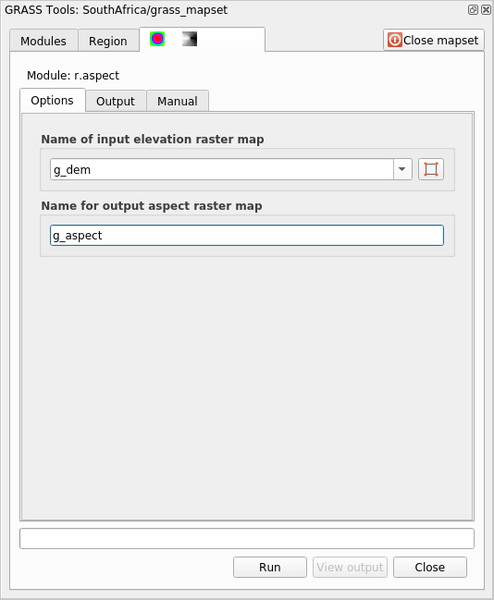 Add map: Add a raster file from your current GRASS mapset. Add connection: Connect elements. Using this tool, click and drag from the red dot on one item to the red dot on another item. Dots that are correctly connected to a connector line will turn gray. If the line or dot is red, it is not properly connected! Select item: Select an item and move selected items. Save as: Save all the operations as a new file on the disk. This shows all the areas where the terrain is higher than 1000 meters. You can also save the formula you have created and load it in another QGIS project by clicking on the last button on the GRASS Mapcalc toolbar. In this lesson, we have covered only a few of the many tools GRASS offers. 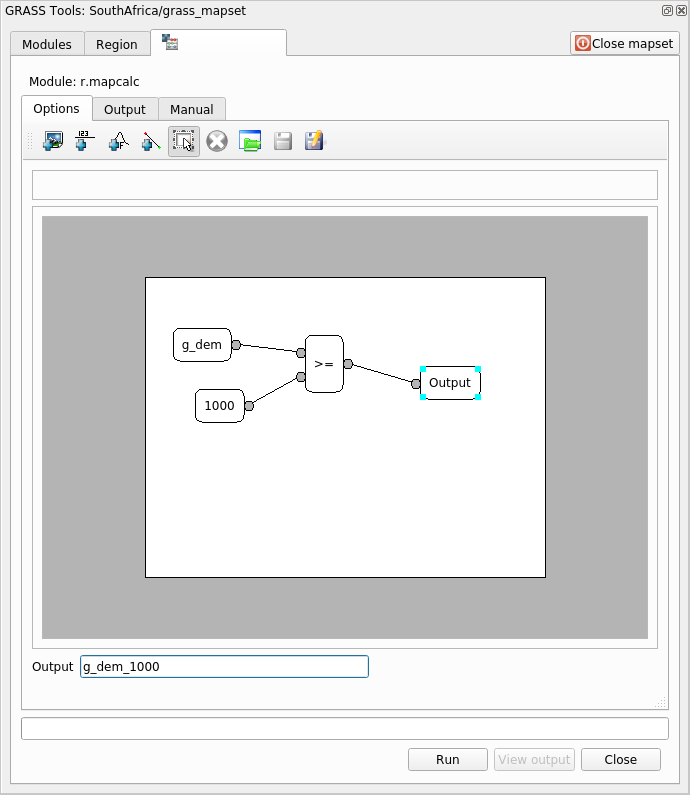 To explore the capabilities of GRASS for yourself, open the GRASS Tools dialog and scroll down the Modules List. Or for a more structured approach, look under the Modules Tree tab, which organizes tools by type.